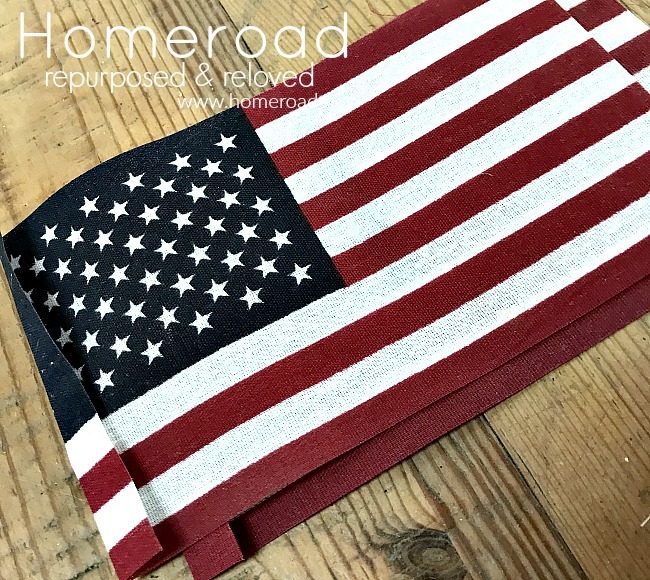 I'm using small flags from a recent neighborhood parade but I am including my affiliate links so you can create the look yourself. I removed the sticks and folded over the edge. A flap is created with a quick burst of steam from the iron. 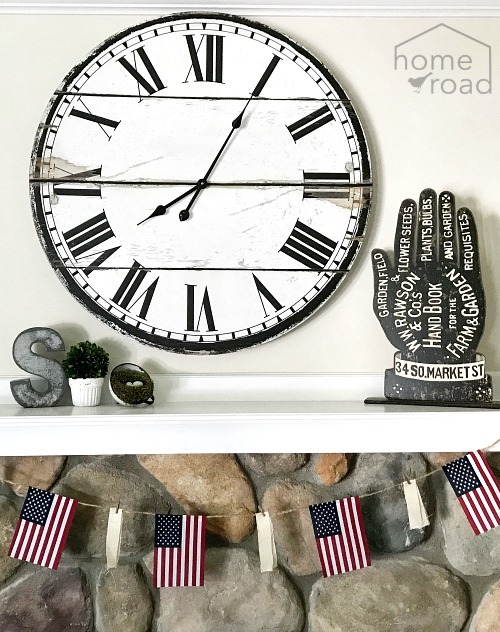 The free flags and a few supplies I had around the house were all I needed to create this quick and easy summer holiday garland. 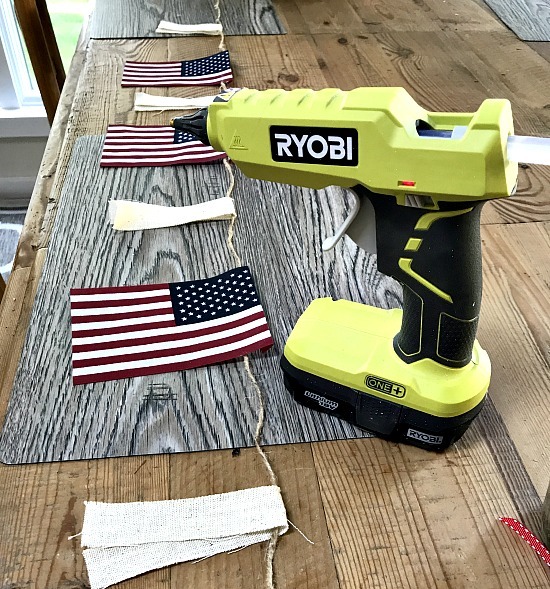 I stretched out a long length of jute down my farmhouse table while I waited for the glue gun to heat up. 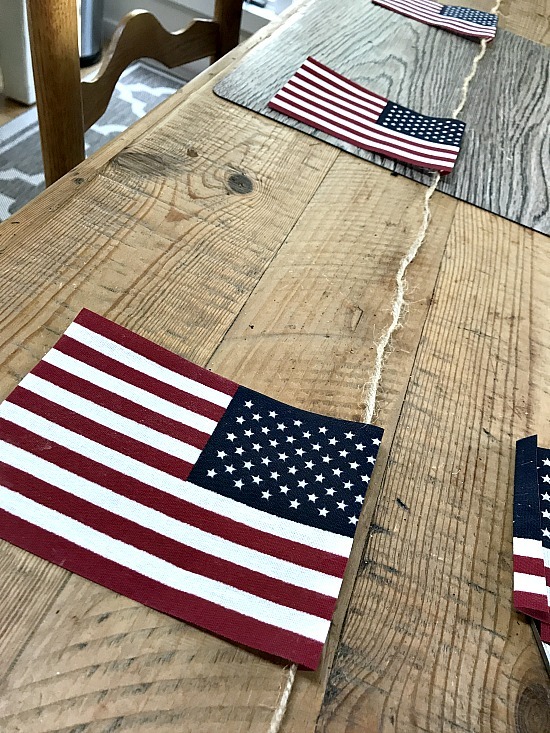 I hot glued the flags onto the jute at the fold then added muslin white flags between each American flag. 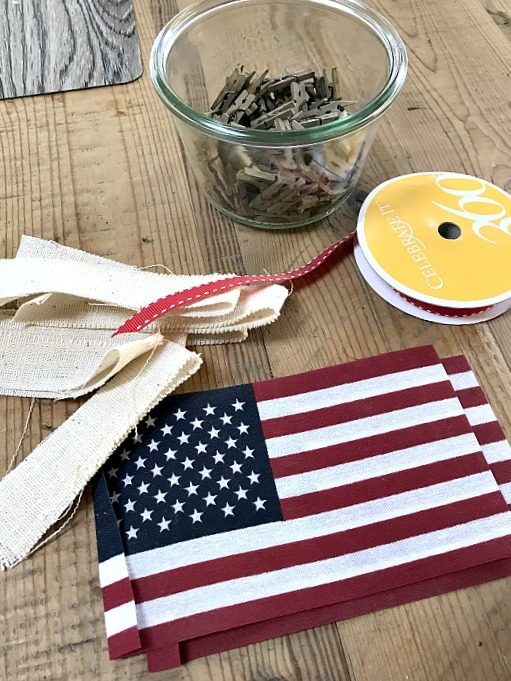 On each white flag I added a DIY aged mini clothespin. I hung it across my mantel and I'm ready for the summer holidays! Couldn't be easier! Nice, why didn't I think of taking flags of the sticks? Hand to palm! No...not hand to palm, hand to forehead! Oh, my word, there's the reason I didn't think of taking the flags off the sticks, I don't even know where to slap my head when I go Duh! LOL Yeah girl! Off the sticks!!! Target has them in the dollar section right now! Run! That's a really clever idea! Love how it looks! I just love simple beautiful things, and you just made me love again.